If you follow me on Instagram and facebook then you might have caught my coverage of the Leanne Marshall show this past fashion week. This Fall 17 collection was one that just took my breath away, No like seriously it did. I can remember vividly trying to catch my breath when the flowy chiffon pieces came down the runway. From the beatiful color schemes to the delicate fabrics and how perfect the craftmanship looked on the models, I turned to the person next to me and said "yes now thats a collection". 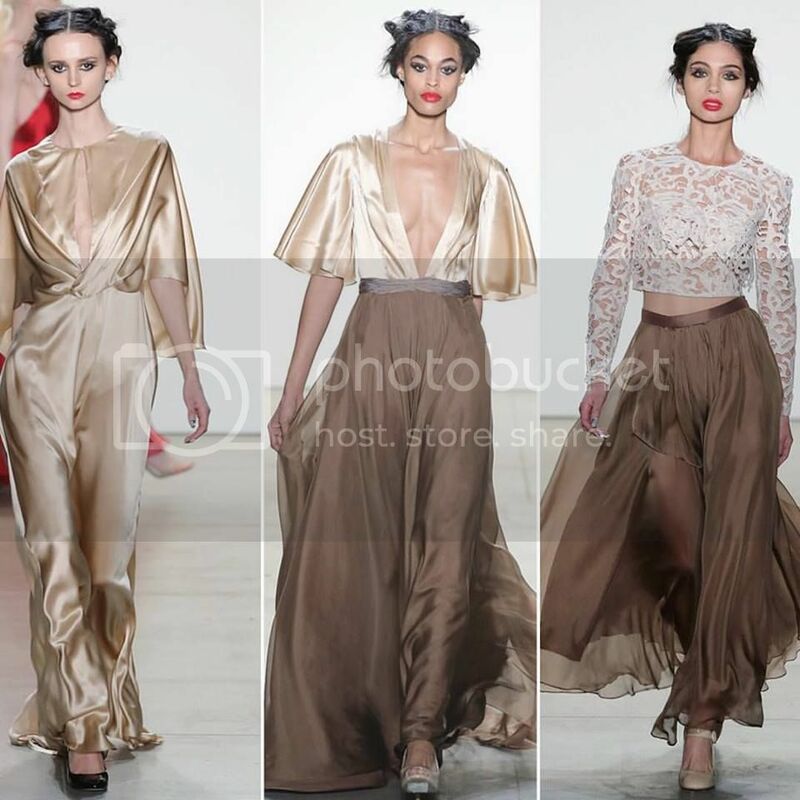 Think Hollywood Glam, Red Carpet ready, Gala events, Wedding guest pieces all wrapped in one collection. My favorite piece from the collection goes to this Red inverted v-neck double strap gown with silk organza skirt.